The Leather Benjamin Messenger was designed for those who need function without compromising quality or style. Made from our durable full grain, vegetable tanned Legacy Leather™ this messenger bag is formulated to withstand a lifetime of use – when scratched or nicked, simply pinch the leather and rub it with your fingertips – the oils will come to the surface and heal the marks on your Legacy bag. 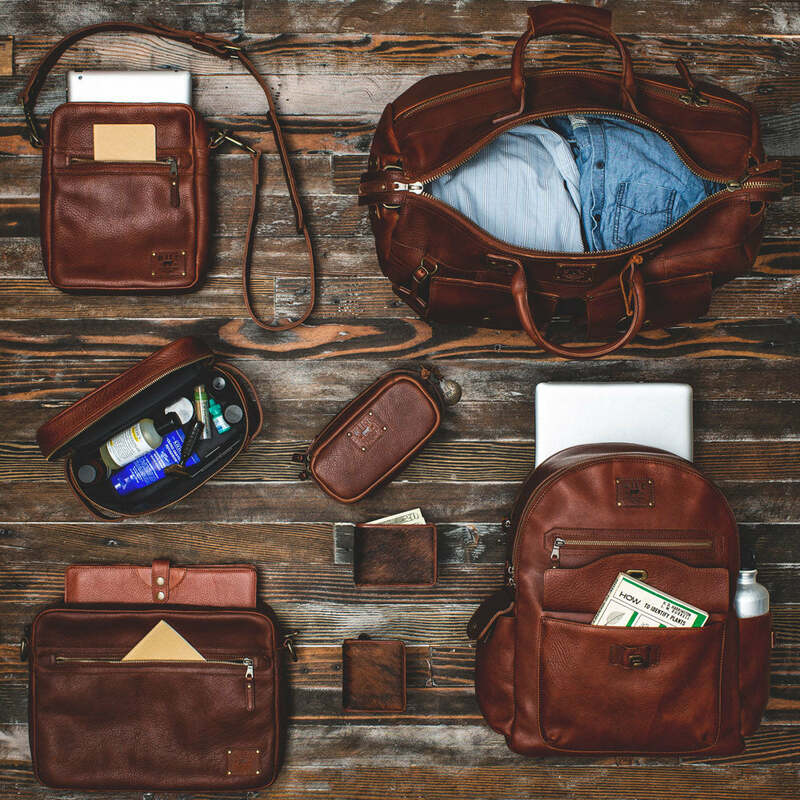 With plenty of room inside for your computer, tablet or work files, this messenger bag will not only get better with age, it is hand-crafted with authenticity to give the wearer an overall sensory experience. The detachable shoulder strap adjusts in length to make it easy to wear as a shoulder bag or crossbody. Includes Will Eco-Pillow -- Perfect for Travel!